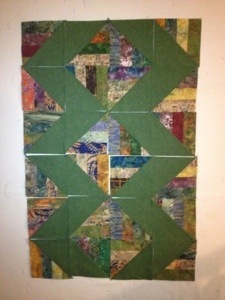 I ended up having 12 squares leftover from the batik quilt top, so I needed to come up with a way to use them. (I didn’t want to have them laying around in a drawer or box somewhere). So I made them into HST’s. 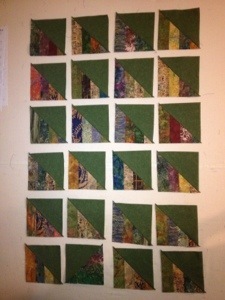 Now I have 24 squares, which is enough to do a lap quilt. 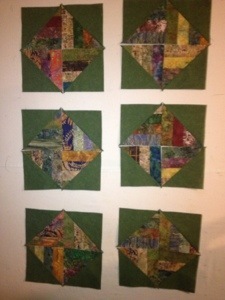 I played around with arranging them on the design wall and here’s a few ideas…. 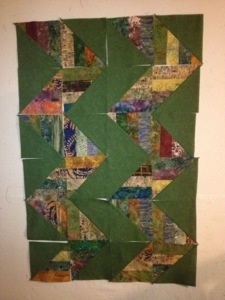 I could make pinwheel blocks and add a sashing. 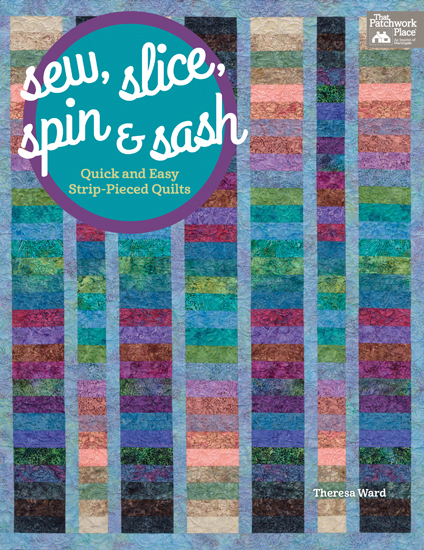 Or turn them and make squares on point. 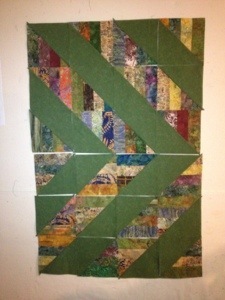 Again adding a sashing. 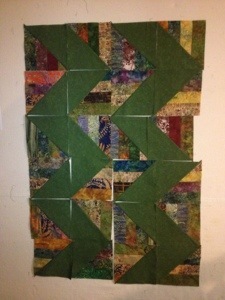 I could just make them triangles with a sashing. Or I could do this. Decisions decisions. I’m not sure what I will do with them yet. 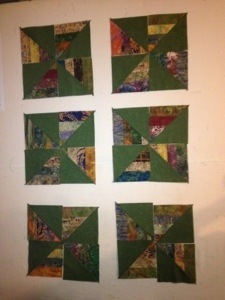 I’ll look at them today while I quilt and maybe decide on the layout…….